The classic bi-fold wallet is new for Cruise 2019 in the graphic BV Club 19 workmanship. Crafted from soft nappa leather, the style features a center Intrecciato Checker panel bordered by stripes of solid intrecciato. 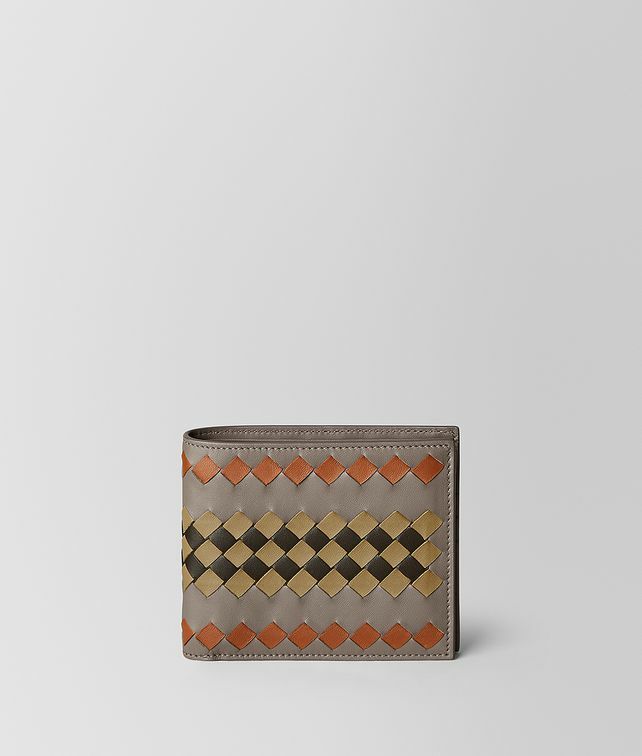 Fitted with eight credit card slots and four compartments for organizing notes and receipts.